Winter is over, but pasta is all year. Make simple and delicious Italian dishes this spring. 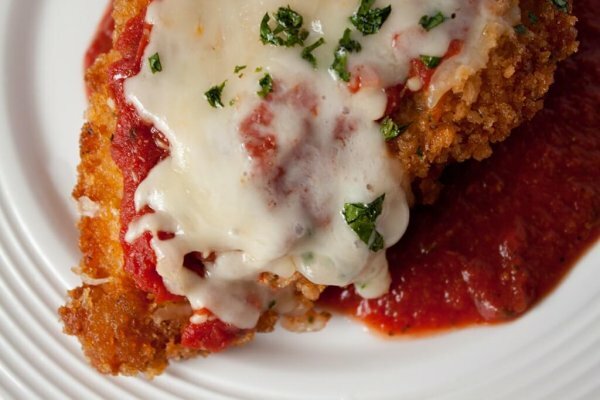 Our classic chicken parmigiana will inspire you! In shallow dish, combine breadcrumbs, ½ Parmesan cheese, parsley, Italian seasoning & pepper. Set aside. Coat each cutlet with flour; dip in beaten eggs and coat with breadcrumb/cheese mixture. In large skillet, heat oil and butter over med. heat. Fry cutlets until golden, ~6-7 minutes. Spread ½ cup pasta sauce in ungreased 13 x 9” baking dish. Arrange chicken over sauce. Layer with additional sauce. Bake for 15-20 minutes. Remove from oven and top with sliced mozzarella and remaining Parmesan. Bake an additional 5 minutes. Serve immediately. Refrigerate leftovers.